Coalingite: Mineral information, data and localities. This page provides mineralogical data about Coalingite. Brugnatellite Mg6Fe3+(CO3)(OH)13 · 4H2O Hex. 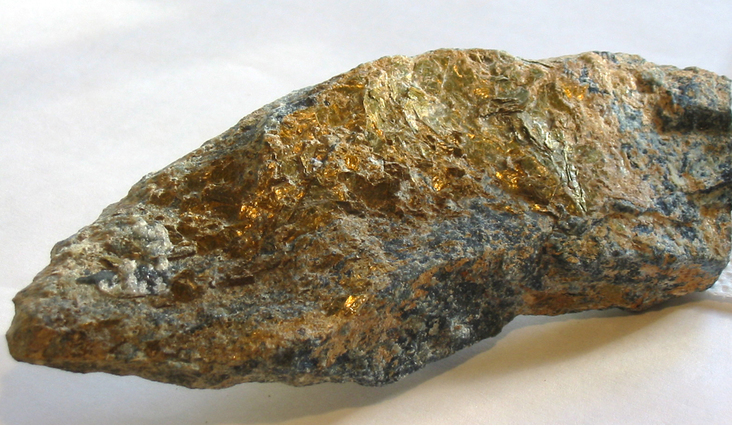 Woodwardite Group May be considered a subgroup of the Hydrotalcite Group. Serpentine Subgroup 4 photos of Coalingite associated with Serpentine Subgroup on mindat.org. Magnesite 1 photo of Coalingite associated with Magnesite on mindat.org. Calcite 1 photo of Coalingite associated with Calcite on mindat.org. Hydromagnesite 1 photo of Coalingite associated with Hydromagnesite on mindat.org. 5.DA.45 Chlormagaluminite Mg4Al2(OH)12Cl2 · 3H2O Hex. 11.13.4 Brugnatellite Mg6Fe3+(CO3)(OH)13 · 4H2O Hex. Munro, R.C. & K.M. Reim (1962), Coalingite – a newcomer to the asbestos industry: Mining Engineering: 14(9): 60-62. Mumpton, F.A., H.W. Jaffe & C.S. Thompson (1965), Coalingite, a new mineral from the New Idria serpentinite, Fresno and San Benito counties, California: American Mineralogist: 50: 1893-1913. Pastor-Rodriguez, J. and Taylor, H.F.W. (1971) Crystal structure of coalingite. 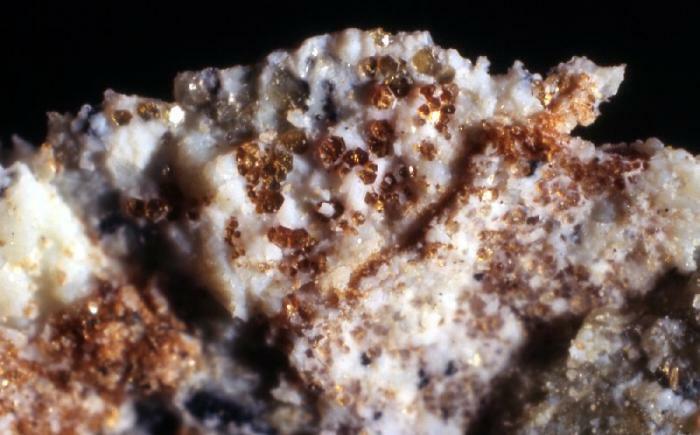 Mineralogical Magazine: 38: 286-294. Mills, S. J., A. G. Christy, J.-M. R. Genin, T. Kameda, and F. Colombo (2012) Nomenclature of the hydrotalcite supergroup: natural layered double hydroxides. 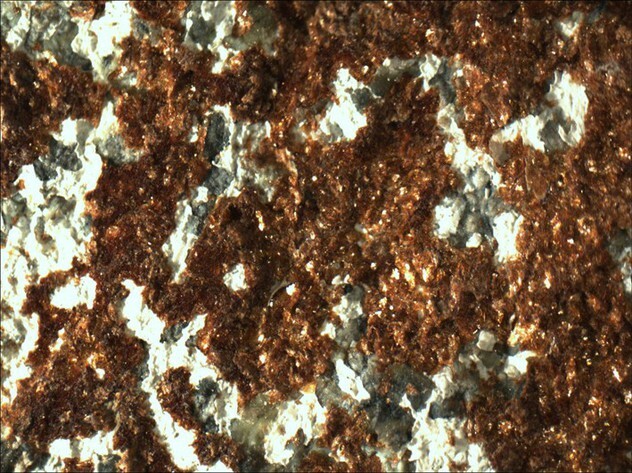 Mineralogical Magazine 76(5), 1289-1336. Oskierski, H. C., Dlugogorski, B. Z., & Jacobsen, G. (2013) Sequestration of atmospheric CO₂ in chrysotile mine tailings of the Woodsreef Asbestos Mine, Australia: Quantitative mineralogy, isotopic fingerprinting and carbonation rates, Chemical Geology, vol. 358, 156-169. Crook III, W.W. & Jambor, J.L. (1979) Nickelbischofite, a new nickel chloride hydrate. Canadian Mineralogist 17, 107-109. Kovář, O., Losos, Z., Houzar, S., Zeman, J., 2008: Hydromagnezit, brugnatellit a coalingit v minerální asociasi puklin serpentinitu z kamenolomu „U Pustého mlýna“ u Hrubšic, moldanubikum, západní Morava. – Acta. Mus. Moraviae, Sci. geol., 93: 19-35. Antofilli M., Borgo E., Palenzona A. (1985): I nostri minerali. Geologia e mineralogia in Liguria. II Edizione. SAGEP Editrice, Genova, 296 pp. ⓘ Dossi di Franscia (Franscia Mine; Franscia Mines; Franscia Quarries) ? 上原誠一郎. (1987). Serpentine minerals from Sasaguri area, Fukuoka Prefecture, Japan. 岩石鉱物鉱床学会誌, 82(3), 106-118. Learned, E. (1965) Sjogrenite confirmed from California. Gems and Minerals: 332: 54; Schlocker, J. (1974) Geology of the San Francisco North quadrangle. USGS Professional Paper 782, 109 pp. : 59, 62; Pemberton, H. Earl (1983), Minerals of California; Van Nostrand Reinholt Press: 199.